Following the tips below can help assure the artwork you provide will achieve the dynamic results you want when your logo embroidery and screenprinted on your branded clothing. It can also help increase the efficiency and quality of the decorating process. Art that is “ready” for use is provided in an electronic file that can be used for pre-press and printing without making modifications. Below are a number of important considerations and tips to help get your art ready for decorating. For all three formats, proper resolution is critical for clean results. The traditional standard for acceptable mechanical artwork is “camera-ready black and white.” Mechanical artwork can be supplied on a sheet of white paper or bromide, and should be no larger than 8.5″ x 11″. A logo embroidery that’s been drawn by hand is a great starting point, but it will need to be digitized and modified for practical use. Consider these lesser-used, but highly-noticeable garment locations for a unique logo embroidery/artwork placement. Here is an easy way to estimate the amount of stitches you’ll need for great looking logo embroiderys. – 1 solid square inch of embroidery equals approximately 2,000 stitches. – 1 solid square 1/4 inch of embroidery will equal about 125 stitches. – No letter should be smaller than 3/16″ each letter 1/4″ in height equals about 100 stitches. 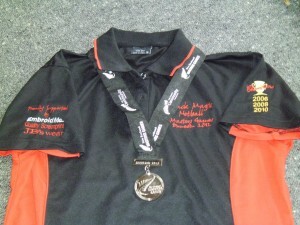 – Drop shadows in your logo embroidery will translate to 200 extra stitches per inch. 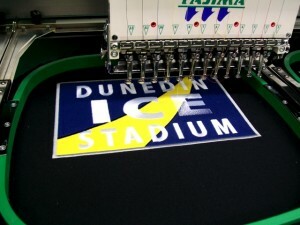 – Straight lines under logo embroiderys typically require 200 extra stitches per inch. – Fabrics, colors, and artwork detail will affect the amount of stitches. It’s important to remember that every color you want used in your artwork means another screen to create, set-up, and print through. The costs connected with these screens depend on the techniques used. It’s always beneficial to print more items than less because of the set-up charges involved. If in doubt about the final quantity of screenprinted items you’ll need, it’s often more economical to order more than you think will be required. Garment Printing is the most in-demand design option that companies look for when they are putting together an apparel branding program. That’s because direct-to-garment and screen printing are very cost effective alternatives, with many options for making each project special. Direct garment printing merges the ink from image directly to the fabric without adding extra texture on top of the fabric… so your item maintains is original feel and is smooth to the touch. This is the best choice if you don’t require light inks printed on dark fabrics. With garment printing you can personalize a t-shirt with a high-quality photo image that’s printed directly onto the fabric or you can include a special graphic that’s printed right onto a shirt, blanket, towel, or bag. Direct garment printing is water-based and eco-friendly. With a complete selection of business shirts, tees, biz separates, knitwear, poly fleece, hospitality, jackets, leisure basics, health and beauty and workwear you can rest assured EmbroidMe can look after your requirements for branded apparel. 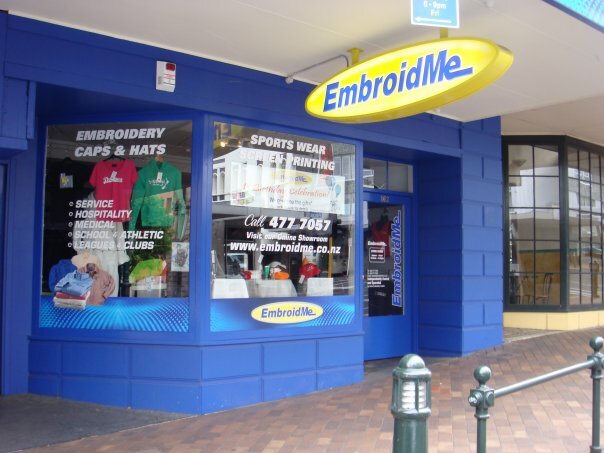 All the EmbroidMe Stores supply the BizCollection Clothing Range. The cold, wet days are upon us, so make sure you contact your local EmbroidMe Store to ask about our winter selection for jackets, vests, polar fleeces, sweatshirts and pullovers.